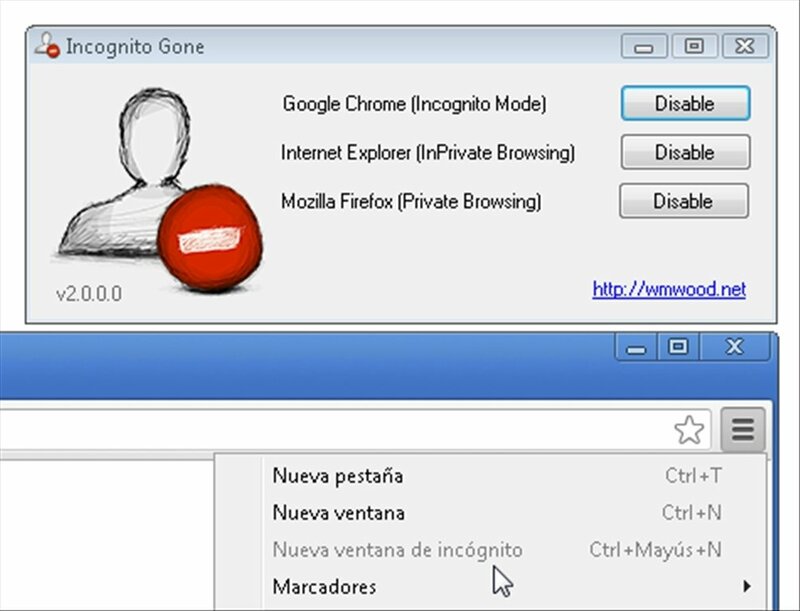 Download Incognito Gone for free to disable Chrome, Firefox and Internet Explorer's hidden browsing modes. Make sure nobody browses behind your back! 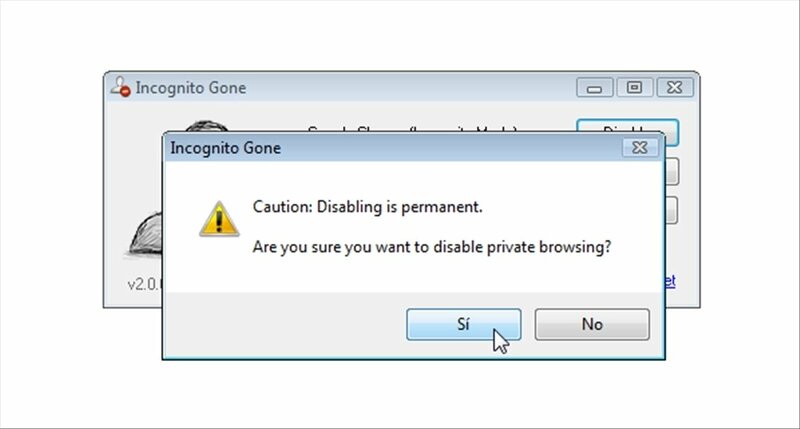 Incognito Gone is an interesting tool that removes the private browsing modes of Google Chrome, Internet Explorer and Mozilla Firefox. 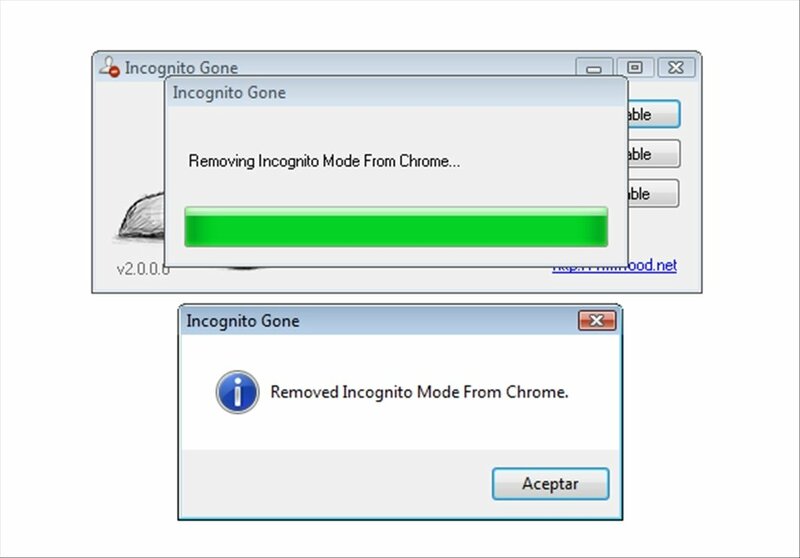 If you want to prevent any sharp PC user from using hidden browsing modes, use Incognito Gone. These modes avoid storing the history of the pages visited and other private information. They are ideal to browse without leaving a trail, but not all users should be allowed to make use of them. If you have children at home you should be interested in limiting this functionality. Thus, you'll always be able to access their browsing data to check what sites they have visited and what contents they have downloaded. Take into account that the tool has no way of turning back. Once you use it, there is no way you can recover the private browsing mode. This application has been conceived for a family environment, in which it isn't usually necessary, therefore, if you're in a different situation, think about it twice before you start using Incognito Gone. You need to have Google Chrome, Mozilla Firefox or Internet Explorer.